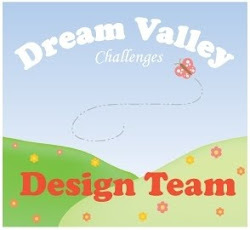 Come and join us at Trimmies Craft Challenge, our sponsor this week is Digital Delights . It actually feels a bit like summer at the moment! It’s nice to not have a carry a coat everywhere and think about having an ice cream like in the picture. I coloured the image with my Chameleon pens and cut it out with my scan n cut, using the scan to direct cut feature. It allows you to make the choice of a border around the image or a cut to the outside border line. I cut out two circles in white and a pink star patterned paper. But felt that they were too plain and needed something to lift them and a bit of sparkle. So I die cut a lacy border a few times and bent this around the two circles. I’d gone to a scan n cut meeting the week before cut out a swirly cloud and decided I liked this behind the circles and in front of my chosen backing paper, so I cut out another and tested the look. It just gave an open layer which made a big difference to how it looked. Then I felt the backing paper needed some kind of edging so I dug out my stamps and used one of those as a border and joined them up at the corners. The positioning was dead easy with the Tonic/Tim Holtz stamping plate. You attach the stamp to the plate once and rotate the paper by 90 degrees and re inking each time. Once layered up, the corners rounded and flower detail added all that was needed was a sentiment. Voilà! Oh so cute! I love the delicate die-cut you used as a mat behind the cute image!